14 S T A R T H E R E 2 0 1 8 use this information to develop a strategic edge. A business plan is a necessary second step. It helps define the business, its direction, operations and expansion path. Writing the business plan will help define start-up costs and operating capital needs. Once they know how much money they need to get started, they can determine how to finance." Paul Crocker, marketing director for AnaJet, says that it doesn't have to be "a formal business plan, but the key is to have a real plan for how they are going to get customers." Crocker says he has heard way too many stories about people who thought that if they bought a direct-to-garment printer, the customers would just come and that isn't always the case. "If I'm putting $15,000 to $20,000 into something, I want to make sure I'm confident I can start to make that money back or at least enough to make the payments," he says. "From an operational standpoint, in direct-to-garment printing, printers like to run. They don't like to sit in a corner, so you'll eat up a lot of your overhead and are going to spend a lot of money maintaining the machine if you are not running it consistently producing customers' orders." Another thing companies should do when determining whether to enter the direct-to-garment market or not is to figure out how much space they need for the equipment. Some companies do make smaller direct-to-garment printers. Many people start their businesses in Image courtesy of Direct Color Systems. Images courtesy of Direct Color Systems. The pink shirt is coming off the press of the Avalanche HD6, and shows the level of detail the printer can achieve. 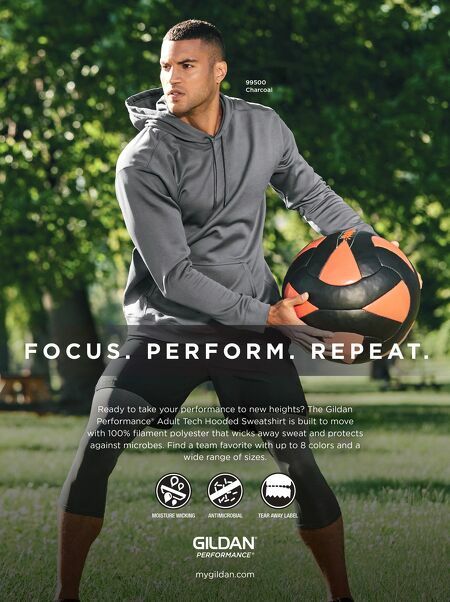 Image courtesy of Kornit Digital North America. 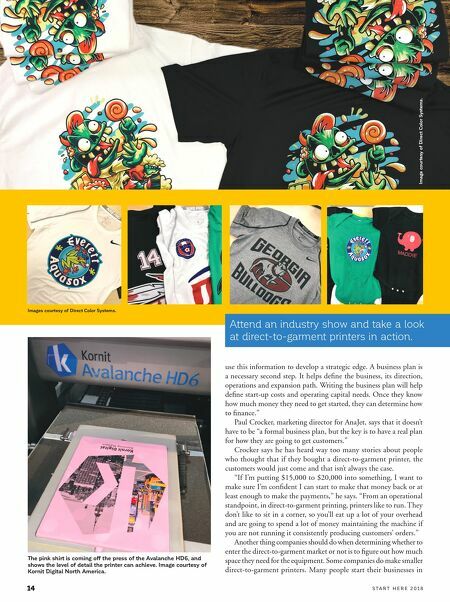 Attend an industry show and take a look at direct-to-garment printers in action.